Take your next UK cottage holiday for even less with the 24-hour flash sale from Powells Cottage Holidays - get it before it’s gone! (TRAVPR.COM) UK - November 27th, 2013 - With comfortable and beautiful holiday cottages available in the prime holiday locations of Devon, Cornwall, the Cotswolds and Wales, Powells Cottage Holidays are the independent holiday cottage agency that has a lot to offer. 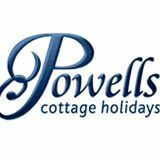 With 45 years of experience in the business, Powells Cottage Holidays offer a great range of holidays at great prices with a service that still feels personal. Now, you can receive this excellent service for even less for a very limited period by making the most of the latest Powells Cottage Holiday deals and having the choice of any of the properties in the extensive Powells Cottage Holidays portfolio - all of which have been individually visited by the Powells team to ensure your next holiday is an enjoyable one. For the next 24 hours you can receive £30 off your next holiday with Powells Cottage Holidays by using the online promo code 'FREYA' when booking. That means you can soon be enjoying the tranquil shores of the Gower Peninsula or the rustic charm of the Cotswolds for even less without making a dent in the Christmas budget. So, if you’ve been thinking about taking a mini break away or booking your next coastal holiday soon, make the most of this flash sale, because it certainly won’t be around for long!